What is the Back of Beyond ? Well now after the turn of the millenium Mark Copplestone, brought out a range of new miniatures under this banner; The Back of Beyond, supported by articles by Chris Peers in Wargames Illustrated. Gisby’s original pages are long gone from the internet, so here are some notes that I’ll expand with more pages in the near future. 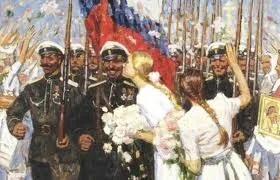 Basically it is a collision between the Russian Civil War (RCW), and the Chinese Warlord period. In particular in the less well known areas of Central Asia and the Far East – modern day Manchuria, Mongolia and the ‘stans. During the RCW, the White Russians (and others) slipped across the border between what passed as national borders taking advantage of the chaos on both sides of the order. This gave many opportunities for adventurers amongst both the Russians and Chinese. And then some. 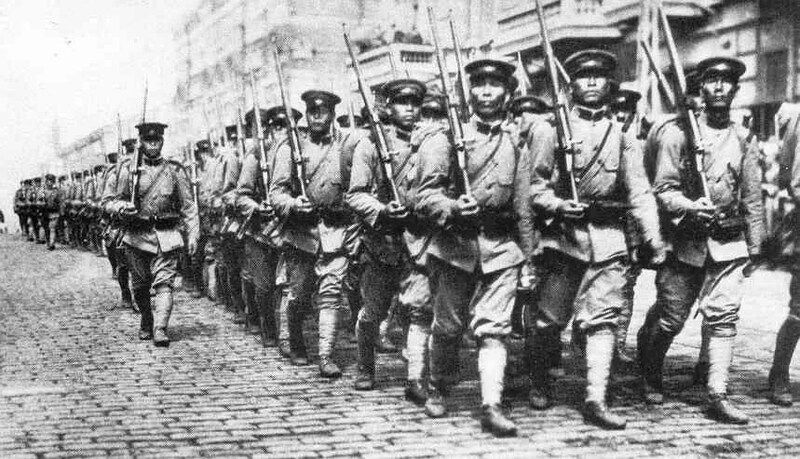 The Japanese were building up their forces in the Russian Far East (nearly 70,000 troops), and the British were agitated and sent (British Indian) troops into what is now Turkmenistan via Persia (as was). The Czechoslovak legion was also strung out along the Trans-Siberian railway as it struggled to get out. the Americans sent troops to help them and General Janin a French General was the Allied representative. 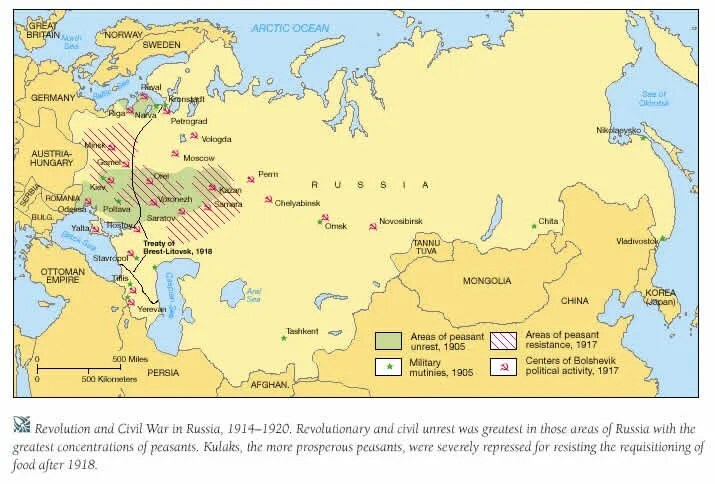 On top of that the SRs (Social Revolutionary Party) Russians were trying to establish independent fiefdoms in Kazan on the Volga (the Komuch), the Black Sea Republic, and the Far Eastern Republic (The Political Centre). The Whites were also fighting at some stages their own stooges the Atamans like Semenov and most infamously Baron Von Ungern-Sternberg aka “The Bloody White Baron”. Mongolia was freeing itself itself from China with help from the Japanese and the Baron. As if this were not enough, add in a mission from the Dalai Lama in Tibet, and an American archaeologist Roy Chapman Andrews intent on finding dinosaur fossils and eventually finding the first dinosaur eggs in Mongolia at the Flaming Cliffs. So it features the straight up history and troops of the RCW and Chinese Warlords, and then we can add in all manner of weird and exotic troops from Japan, Mongolia, Tibet, British India, western adventurers and the like. Now whilst there were a few actual skirmishes between the Russians and Chinese et al, for the purposes of BoB the governor of Singkiang (YangTseng-hsin) dies earlier than expected, and the relative peace he imposed falls apart quicker and with more factions involved. 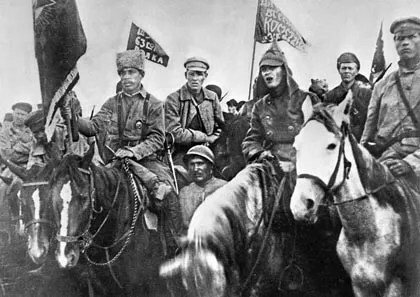 As Trotsky announced: Proletarians to Horse !